We saw a portion of this line of Tourists waiting to get into the White House before. This time we get to see an actual picture of the White House taken from the road in front of the South Lawn. These photos were taken in March 1969 so President Richard Nixon would have only been in office a few months at this point. The line looks like it wrapped around the block quite a ways. 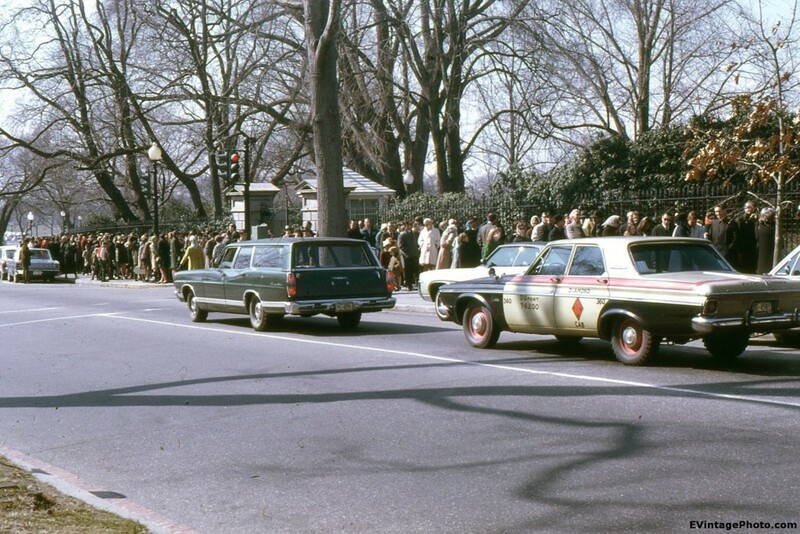 I have to wonder how long the wait was and how many people came to Washington D.C. just to visit the White House. 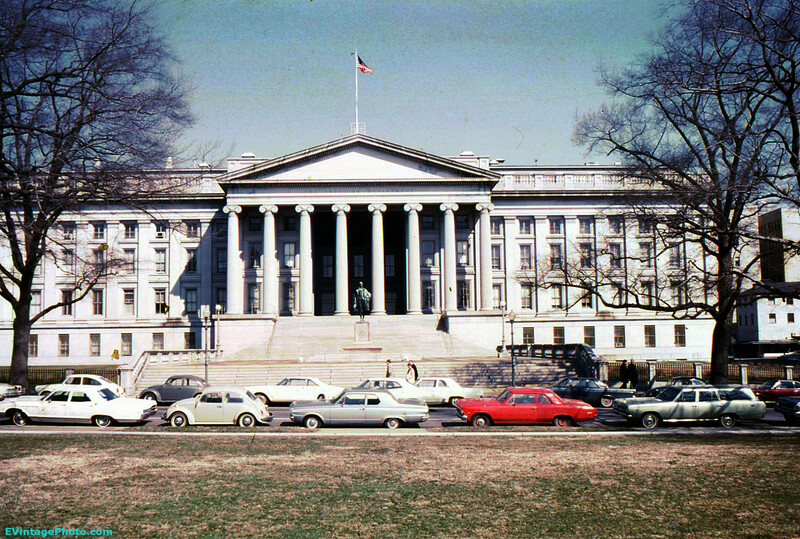 The Treasury Building was first built between 1836 and 1842. It was designed by architect Robert Mills who is famous for the Washington Monument, a few Post Offices, the US Customhouse and several other buildings. Three more wings were added over the next few decades. The building was declared a National Historic Landmark in 1971. 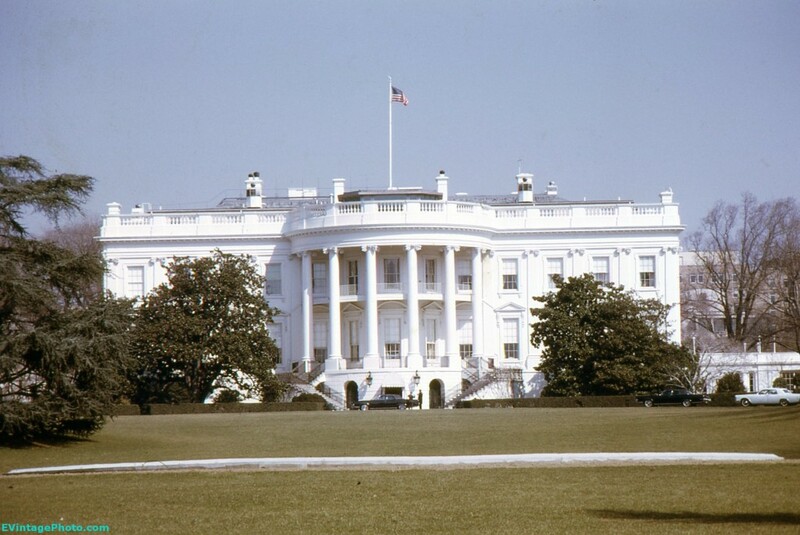 This is probably the single most famous view of the White House in Washington D.C. For some reason you rarely see pictures from the North Lawn. Have you ever been able to visit inside the White House? I’ve only been to Washington D.C. once and only had a few hours of time so didn’t get inside unfortunately.